The purest water is obtainable! 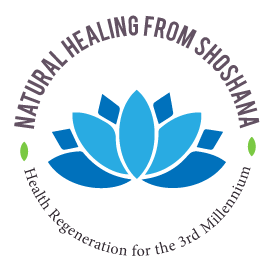 Specializing in Natural Healing for the 3rd Millennium! Press Release! Nanotowels just arrived! New Shipment of Nano Towels Just Arrived! Worldwide Shipping is available! Discount opening sale!!! When you are health conscious, you are drawn to evaluate your personal situation and set goals that will help you reach optimal health. The products offered on this site are products I personally have found to be effective in reaching a higher level of energy and productivity in my work. Once optimal health is obtained, you will be operating at peak mentality, peak creativity and able to move forward to succeed in your life’s goals. Two products will help build health starting at the cellular level. Omega 3 for essential fatty-acids for improved energy, mood and affective disorder remedy. Natural source clary sage is a preventative supplement – anti-aging and energy enhancer elevates mood and prevents phlegmatic diseases. Adya Clarity sulfate minerals for water purification – works to eliminate build-up of contamination to improve cellular health and functioning. Interaction of the products allows for improved physical health and longevity. In reaching out to you, I am giving you information to help improve your life situation. With increased energy and focused mental power, you will be better able to solve the problems you face today. Nutrition has a valuable role in health. However, nutrition alone will be defeated if you are also consuming dangerous pollutants with your food and with the water your drink. Science tells us that the amount of water in the human body ranges from 50-75%. When we lose even 1% of the water, mental and physical coordination is reduced. We need to replenish ourselves with water in order to remain healthy. When you feel thirsty, you have already become dehydrated. With today’s higher levels of pollution in the environment, we can no longer be guaranteed safe drinking water from the home faucet. While most water is treated before it reaches the home, there is also a risk of contamination in the pipes that deliver the water to the home. When traveling, we do not always have access to safe drinking water. A small amount of mineral solution Adya Clarity eliminates heavy metals and other contaminants in drinking water. Free PDF Report Adya Clarity is a leading mineral additive with cutting-edge properties composed of ionic sulfate minerals that activates water’s natural ability to filter out chemical and biological contaminants. With the addition of the ionic sulphate minerals, water is turned back to its clean, pristine and primordial state. Adya means “primordial” in Sanskrit. Adya Clarity activates oxygen that can break down wastes and neutralize contaminants, rendering them inert, or harmless. The activated oxygen also kills disease-causing micro-organisms and prevents bacteria from growing. Adya Clarity (TM) has been tested in and proven by Environmental Protection Agency (EPA) certified laboratory to produce and to remove contaminants. The product is tested and proven by 2 separate human clinical trials to be safe for consumption and to effectively remove heavy metals from a human body. All lab results are available upon request. Benefits include the removal of 159 industrial chemicals, 100% of chlorine , 99.95% of tested pharmaceuticals and basic drugs, reduces 79 different agricultural substances, reduces heavy metals in water including Lead, Arsenic, and Mercury to undetectable limits. Kills 4 types of disease causing microorganisms and prevents their growth, reduces up to 99.85% of tested bacteria, viruses and parasites. Also, Adya Clarity (TM) provides up to 100 trace minerals that are easily absorbed by the body. Now you can also purchase from PayPal. Please send your Name, email address and phone number. Making beverages -ice, coffee, tea, juice, etc. Washing produce -fruits, vegetables, etc. Cooking- pasta, soup, vegetables, etc.